Small Business Saturday from American Express is back. This means you’ll be able to get a $25 statement credit for spending at small businesses with your American Express on November 24, 2012. 1) Make sure you have your American Express cards ready to spend on November 24, 2012. If you have to many cards, consider adding authorized users to help you spend at small businesses. If you don’t have an American Express card, you could consider one of the many Business American Express cards. 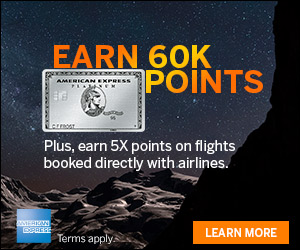 Some of them offer generous signup bonuses like the Business Gold Card® From American Express Open that offers a 50,000 signup bonus. But I wouldn’t suggest signing up for a card just for a $25 statement credit. 2) Register your cards when registration opens. Visit the American Express Shop Small website to register all cards when it opens. 3) Visit the Small Business Saturday Facebook page to map out the small businesses that you plan to spend money with on Small Business Saturday. 4) Enjoy your $25 statement credit for each card that you spend money on with a participating small business on November 24, 2012. Small Business Saturday is the Saturday after Thanksgiving and it sits between Black Friday and Cyber Monday. This year, it falls on November 24th. As a consumer, you are a key part in helping small businesses thrive. By shopping or dining at a small business this November 24th, you’re showing your support for all the small communities around you. This means you could be helping local entrepreneurs offer more jobs, which in turn invigorate the economy. Last year, over 100 million people came out to shop at independently-owned small businesses on the day. This year, go out and support your favorite small business and search for savings on unique merchandise while experiencing spectacular service – a cornerstone of many small businesses. That’s up to you! You can go shopping or dining at a local small business, spread the word to others or share the news online and through social media. Anything you can do helps to give small businesses the support they need to keep creating jobs, powering the economy and invigorating communities. And that’s what makes Small Business Saturday a success. Visit the Rally My Community section for more ideas and tools to help spread the word. Don’t forget to register your American Express cards for Small Business Saturday. You can earn a $25 statement credit for each American Express credit card that you use to spend money with participating small businesses. 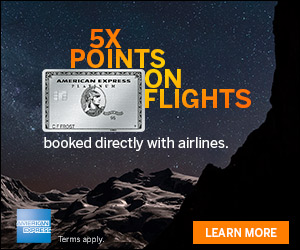 Does this work with AMEX prepaid? @Minos: AMEX prepaid does not work for Sync deals. 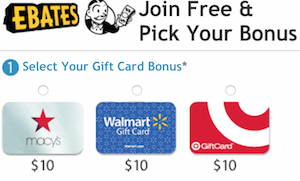 The best option is to buy $25 gift cards. This is such a sweet deal! I wish I had more AMEX cards to maximize the $25 credits. I may have to see about applying for another AMEX card tomorrow…thanks for the heads up! I checked the participating businesses (Atlanta)and there are tons of restaurants and shops that I go to all the time. I can’t beleive the selection. I will definitely be participating. I love free stuff! Registration begins on November 18th this year. It’s great. I always use it to treat my husband to dinner at a local restaurant. very limited acceptable participants this year … make sure to check in advance …. of course, even if you don’t get the $25 statement credit, it’s still good to support small businesses !